VLADIVOSTOK, Sep 13 (PRIME) -- Russian Post’s new strategy envisages increasing revenue by 80 billion rubles to over 270 billion rubles by 2023, CEO Nikolai Podguzov said in an interview with PRIME on the sidelines of the Eastern Economic Forum on Thursday. The company’s strategy for 2019–2023 is ready and is being considered by the government, he said. “Electronic commercial services will become the major growth driver. We plan to double revenue from package deliveries in the next five years from the current 61 billion rubles to 122 billion rubles in 2023 due to development of online shopping,” he said. The new strategy also implies creation of a digital logistics ecosystem including up-to-date sorting centers, order processing warehouses, and modern informational solutions. The mail operator will build 38 logistic centers in Russia which will allow for reduction of the package delivery time to one to three days. “We also hope to become the state electronic mail service operator. Electronic delivery gradually replaces physical delivery,” Podguzov also said. In 2018, the company intends to raise package processing 33% on the year to around 485 million units including 380 million international packages, and to increase the share of the online shopping delivery market to 70–71% in 2018 from 67% in 2017. The company plans to set up a China-based subsidiary until the end of 2018 to reduce the delivery time from the state to three days. 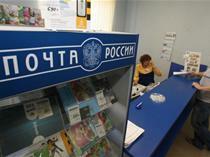 Russian Post is to finish transformation into a joint stock company in March–June 2019, he said.